CENTARA HOTELS & RESORTS, Thailand’s leading operator of hotels, has initiated an annual awards scheme to recognize associates who have made significant contributions to the growth and service quality of the organization. 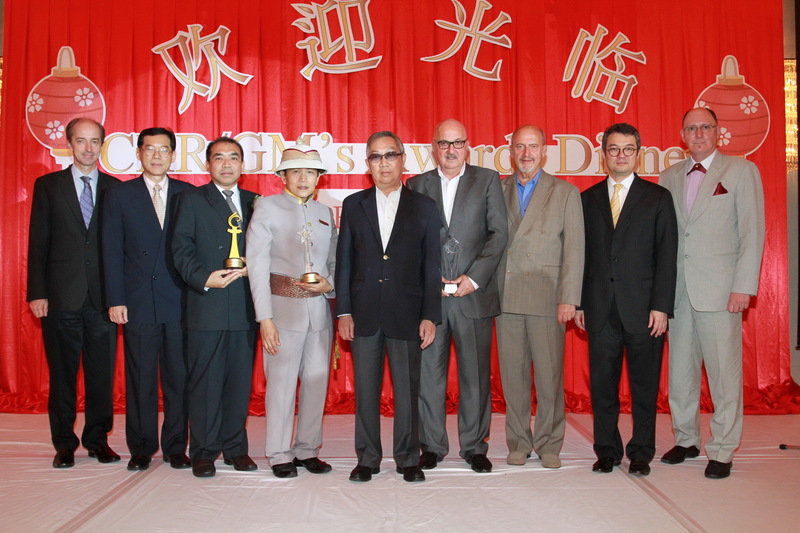 The first Centara Awards ceremony was held on 3 July at the World Ballroom, Centara Grand & Bangkok Convention Centre at CentralWorld, and was attended by Centara’s key corporate executives and general managers from around the world. “The Centara Awards are a matter of great personal pride to me,” said Suthikiati Chirathivat, chairman of Centara Hotels & Resorts. “When I and my brother, Samrit, founded the company more than 30 years ago as Central Hotels & Resorts, the hotel industry very quickly became a passion. “Since 2007, the year we rebranded to Centara Hotels & Resorts, we have been on a path of rapid strategic expansion, and this requires the very best people who can continue to evolve Centara’s core values so that we remain true to our roots. There are three awards: Manager of the Year Award, Special Contributions Award, and General Manager of the Year Award. Wuthisak Pichayagan, executive assistant manager for food and beverage at Centara Grand Mirage Beach Resort Pattaya was named as Manager of the Year. Thanawathna Panyasarn, doorman at Centara Grand at Central Plaza Ladprao Bangkok, was presented with the Special Contributions Award. Voytek Klasicki, area general manager of Centara Grand Island Resort & Spa Maldives, was named as General Manager of the Year. Thirayuth Chirathivat, Centara Hotels & Resorts’ CEO, said that although these three awards went to different functions of the company, they each had several aspects in common. “Amongst the qualities we were looking for in selecting the winners were that they are good role models, enjoy sound working relationships with colleagues and team members, and act as outstanding ambassadors for the hotel and the company among guests and in the local community,” he said.